Thank you for visiting our eBay store.You landed on the right place. 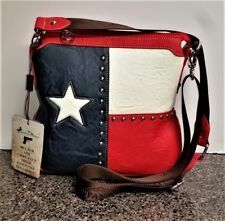 We have wide variety of western themed Rodeo, designer jeans, cow girl and cowboy products like Montana West purse, bags, wallets, Trinity ranch jeans, flips flops, Men's wallet, concealed carry purse and much more. We occasionally run promotion. So please subscribe to our store newsletter to get deals coupons and give away. You can also follow us to get instant update on store activity. Don't pay more for the same product if you get it in less from us. We sell genuine authentic product. Visit our feedback section to know what our past buyer said about us. We ship world wide. We already shipped to Canada, UK, Australia, Germany, Switzerland, Latin American Countries and more. Please contact for any pre sale or after sale question. 100% satisfaction guaranteed. If for any reason you are not satisfied with the product, you can always return it. No question asked. Customer satisfaction is our no. 1 priority.